Hola new makeup launch!! I love a good launch, getting to draw all over myself whilst drinking champagne and eating teeny tiny canapes. Is that not the best way to spend a week night? Last week it was an unveiling of the GOSH Copenhagen SS16 beauty buys but which are the makeup must-haves and which should be left on the shelf? Let’s take a closer look.. Inspired by the moody greys, raw nature and nordic heritage, the new GOSH Copenhagen collection is full of cool colours and wearable shades. But does the quality match up? I’ve not bought GOSH makeup before, so I was really interested to see what it was like. 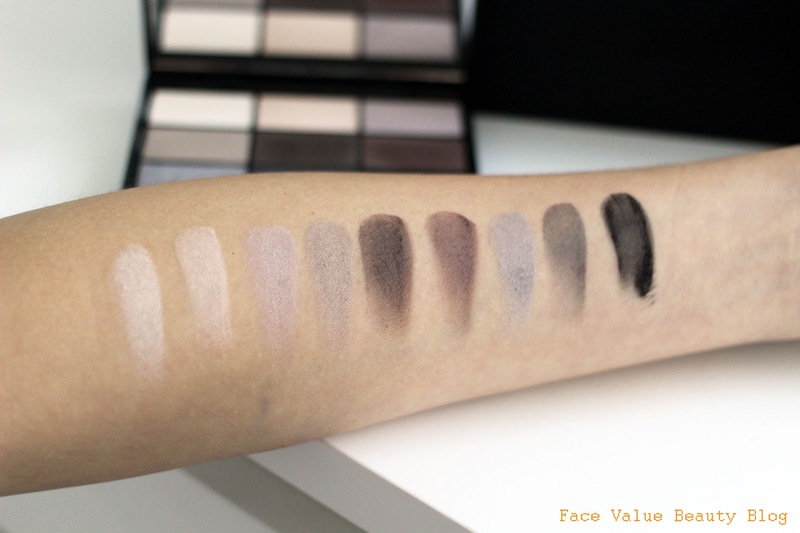 I love matt shades for the day time, but at night, a matte smokey eye can look quite severe. 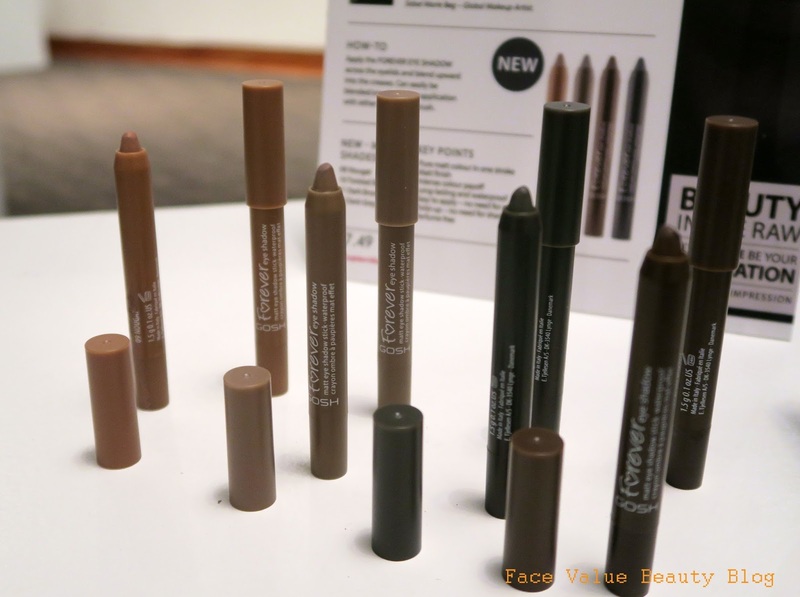 It goes best with pixel-perfect cashmere skin, a neat,strong brow and LOTS of blending out. One of my favourites in the new range are these Forever Matt Eye Shadow crayons (£6.29), a range of creamy, velvet soft eyeshadows which are meant to offer long-lasting colour for up to eight hours without creasing, flaking or fading. I do love the texture of these, they’re smooth, blendable and non-oily. Perfect for an easy eye makeup application, you literally just swipe it over the eyelid and use a fluffy brush to blend upwards. They set within about a minute, unlike the Bourjois Colourband version which almost dry instantaneously so you can’t blend them. Super easy to apply, I found that these lasted really well throughout the day – these crayons will definitely part of my everyday kit now! Love them. These cute little bottles are GOSH Lumi Drops which are little bottles of radiance that add light and luminosity to the cheeks, or all over the face if added to foundation. I love the little bottles, they remind me of Daniel Sandler and the liquid formula means they’re easy to blend. They’re not heavily pigmented though, so are better for a dewy wash of shimmer rather than a strong strobe or highlighted cheek. At £7.99 each, I probably wouldn’t buy this unless you like the dewy, glowy look. The bronze one would be nice in the summer, to go into your foundation. As an oiled skinned girl, I avoid these like the plague and always opt for a matte finish. The new GOSH Primer+ Base Plus Illuminating Skin Perfector £14.99 has been in stores for a few weeks now and it’s designed to give skin a healthy complexion. Again, it’s infused with all sorts of fancy Nordic ingredients including a ProRenew Complex (which stimulate the skin’s ability to self-renew) but let’s be honest, it’s still makeup rather than skincare. The Primer+ is meant to give a visibly even skin tone, reduces imperfections and fine lines, smoothes pores to leave a health natural glow. Does it do that? Well yes it does – but it’s not for everyone. Why do I say that? Well, for one, it’s tinted. And i’m not talking about a light green primer to offset redness, or a pink primer to brighten – this stuff is almost like a BB cream, it has THAT much coverage. Fortunately the colour is right for me, but it’s definitely not going to suit everyone. AN OIL FOR YOUR LIPS. We’ve had hair oils, body oils and now lip oils have hit the streets! WHAT IS THIS? A gimmick or a got-to-buy? This new nourishing GOSH Lip Oil is infused with a blend of oils and natural Nordic super ingredients like Sea Buckthorn, Moringa Oil, Argan Oil and Macadamia Oil, and also VITASKIN® E derived from Raspberry Oil. I love the texture of these, they instantly fix my dry lips but I’m not a huge fan of the taste and smell as I normally have unfragranced lip balms. If you like raspberry you’l be alright, and I swear the orange one smells like red bull! I would buy one of these (not the red bull one) for myself but I think they would have been better in a dropper as it just looks like a lipgloss otherwise! Overall, the first impressions of the brand are good. For me, it’s very similar to Sleek Cosmetics, but with a little bit more polish and sophistication. Very decent and very well priced, but nothing I’m like Charlotte-Tilbury-obsessed about – except for the eyeshadow crayons perhaps. I was really pleased with the palette and the lip oil too. Buy through this link to fund my blog! The GOSH Copenhagen SS16 Makeup Range is now available at Superdrug. What do YOU think of the new range? Do you need more colour in your makeup? What do you think of a lip oil?! Tweet me your thoughts @FaceValueBlog or send me a comment on Facebook -I love hearing from you guys!